Franck Girard started his career as automation & electrical commissioning engineer for the heavy industry and for projects mainly delivered in Asia. He was project manager a few years before to be nominated in 1998 Deputy Managing Director of Ansaldo Loire Automation S.A. In 2000 he has been appointed Chairman & Managing Director of ASI S.A France a subsidiary of Italian group Ansaldo now Nidec ASI S.A France a sub. 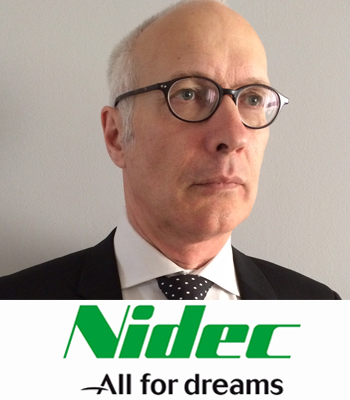 of Nidec Industrial Solution part of Nidec Japanese group (150 000 employees) with headquarter in Kyoto and Milan for Europe. With his staff he has designed, supplied and commissioned as EPC contractor the main projects of energy storage with solar for the French Islands (Corsica; La Reunion and Mayotte in Indian Ocean) and for the French Guyana in North of Brazil. Recently for the German utility Steag has been supplied the biggest project in Europe for frequency regulation (90MW/139MWh). In January this year he has been awarded the biggest deal for National Grid in UK by EDF ER (49MW/35MWh) for Enhance Frequency Regulation just after the signature of the order with EON (10MW/7MWh) also for NG EFR tender. Other BESS projects are going to be delivered before this summer in Japan and Africa. Two significant new projects teaming up BESS with Wind turbines have been also won recently and will be delivered in the French Caribbean within 2018. How can EPCs Best Manage Their Supply Chain, Grid Interconnection, Testing & Commissioning? PANEL SESSION. Can EPCs Build And Manage Storage Facilities All On Their Own?